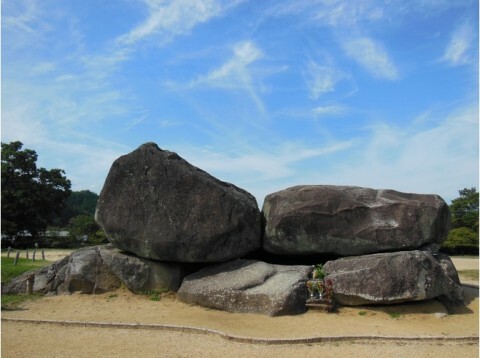 The Ishibutai is an ancient tomb and arguably the most famous site in Asuka. It was constructed in the 7th century. The stones are believed to have been set by digging holes to set the walls in and them pulling the ceiling stone overtop. After the stones were set, they dug out the center to create the tomb. Visitors can walk all around the tomb as well as inside.